The adjustments in costs of the E-tolling system as announced by the deputy president Mr Ramaphosa still remains a heavy burden on motorists, especially the low and middle income household who simply cannot afford to pay for them. From its introduction in 2013, the electronic tolling system was highly reject by the people of South Africa, especially Gauteng residents who felt that the system was unnecessary and that government used it as an administrative way of stealing from them. The public outcry let to the government resorting to delaying tactics through public consultations to reconsider their application due to their economic impact. Regardless of its rejection by the citizenry, especially the people of Gauteng, the ANC government decided to continue looting from our people and making them even poorer. Thus, NTUC vehemently calls for removal of these tolls of foreign nature because they do not the represent aspirations of the people. We further call on motorists and workers in particular to boycott this system and not to pay any of its bills. Cosatu ousted Secretary General Zwelinzima Vavi and his Cosatu lieutenants should be blamed for bringing this life sentence system to our people because they had actively participated and benefited as Cosatu through its investment arm which was awarded a tender to construct these tolls on our roads. They must therefore not claim to be feeling the pain that the workers endure due to this system but must take responsibility for their role in bringing the system to our people through their political Messiah ANC! The kleptocratic government already collects revenue through many means and workers are the main contributors to such revenue, which if utilized adequately without corruption can improve our roads infrastructure and development. The removal of these tolls will reduce the already suffered burden on workers and their spending. NTUC is the only alternative!!! 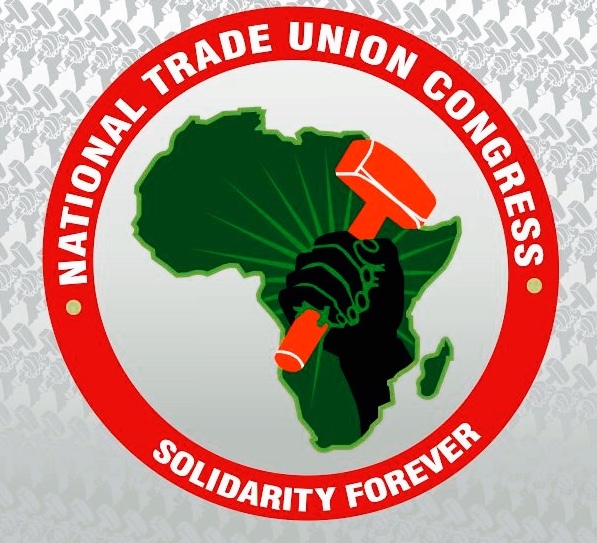 Issued by the National Trade Union Congress.